RUN TO GLORY The St. Agnes Academy cross-country team dominated the field to win the TAPPS 6A State Cross Country Championship. From left: head coach Kristi Robbins, Emory Reilly, Amelie Borne, Grace Wolfe, Jackie Cruz, Camille Napier, Sara Price, Emily Heinz and assistant coach Jamie Wissinger. 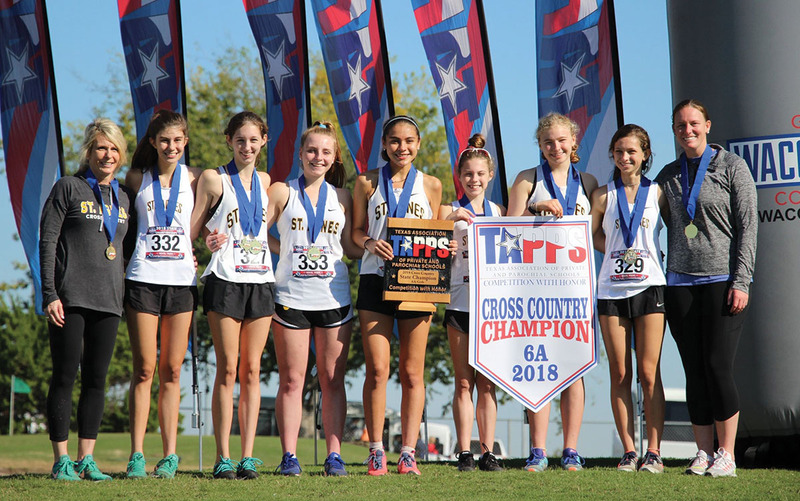 In truly dominant fashion, the St. Agnes Academy Tigers ran away from the field to capture the TAPPS 6A Girls State Cross Country Championship. With five of the eight top finishers, the Tigers finished first by a spectacular 71-point margin. The win also marks the largest margin of victory in TAPPS’ largest classification since back in 1991. WHAT A RUN The St. Thomas Eagles put forth a magnificent race to finish second overall at the TAPPS 6A State Cross Country meet. From left: head coach Nathan Labus, Kyle Rzasnicki, Nicholas Chandler, Travis Enochs, Juan Vasquez, Blazek Skucius, Emilio Castaneda, Joseph Romero, Isaiah Garza, Kenneth Van Doren, Rory Gremillion, Peyton Woodlief and assistant coach Danny Hernandez. In the state meet, junior Blazek Skucius led the Eagles with a 10th-place finish overall. Skucius was followed by Travis Enochs, Nicholas Chandler, Joseph Romero and Isaiah Garza. 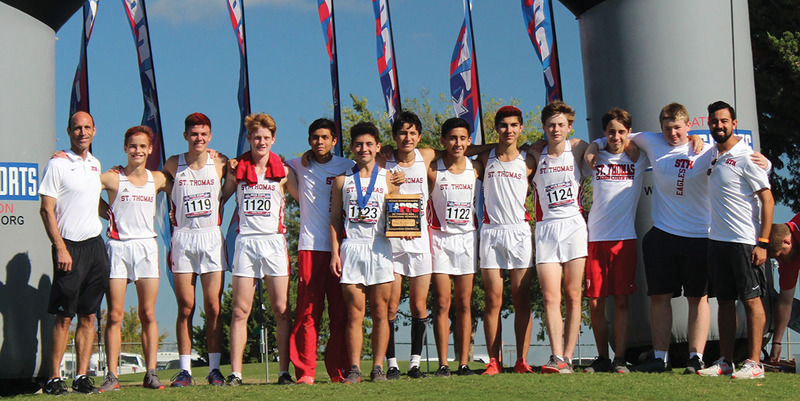 For the team, the second-place finish was even more impressive considering that the Eagles’ top runner, Juan Vasquez, missed the entire season with a torn labrum. 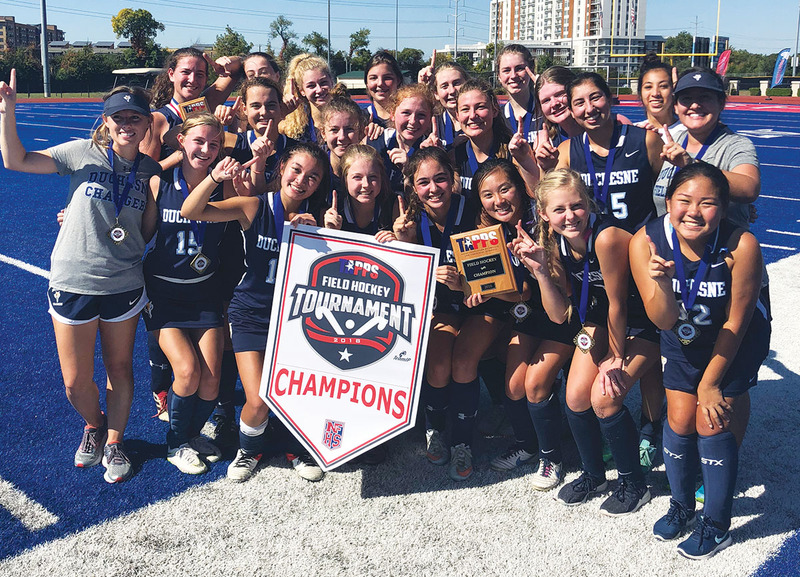 POWERFUL STICKS The Duchesne Academy of the Sacred Heart field hockey team made school history by winning the TAPPS 6A State Field Hockey Championship. The victory marked the first state championship in a team sport for Duchesne Academy. Duchesne was led by several returning players, including forward Carol Longo, who was named the state final MVP. Longo, who’s been playing field hockey at Duchesne Academy since middle school, scored a lofty 22 goals this season, ranking her third in goals scored in TAPPS field hockey. Defensively, junior Sarita Arsham led the team in saves, while other top playmakers included junior midfielders Ariel Schumacher and CeeCee Van Pelt. Schumacher has already committed to play Division 1 field hockey at Lafayette College. 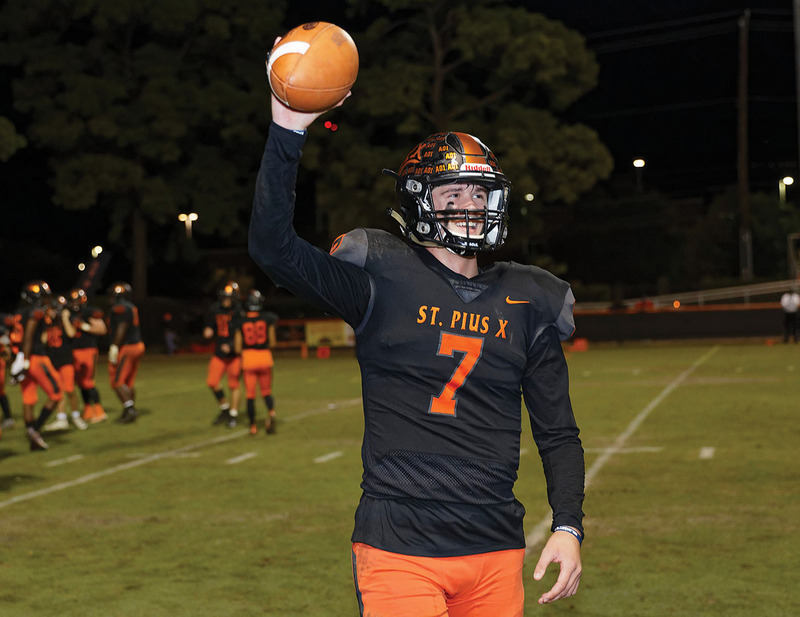 It was a monumental night at St. Pius X High School, as Panthers senior quarterback Grant Gunnell set the all-time Texas high school football record for most career touchdown passes. In the second quarter of the Panthers’ 55-14 victory over San Antonio Antonian, Gunnell connected on his 185th career touchdown pass, breaking the mark held by Refugio High School’s Travis Quintanilla. “It was extremely special for Grant to break that kind of record in front of our community,” said St. Pius X athletic director Jason Kimble.